This week and the past few to be exact have been a work on the skill of resilience! Right now I am enjoying sitting in the sunroom with a furry friend right by my side! WOW….the comforts of unconditional love for sure. I have NOT felt that as much this week. When you are trying something new…..asking for other’s input……trying to please many different people…….well life can have its ups and downs for sure. When I was in the car today, listening to Pastor Rick Warren’s Daily Hope, I was struck by him using metaphors with board games. 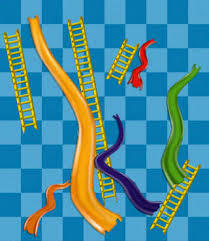 He talked about the game of Candy Land…..but the one that really resonated with me was the game of Chutes and Ladders. He went onto say that remember that you may be ahead of the game climbing the ladder, but in a quick moment without warning you land on a chute and move back. You might even have to start again. In the past few weeks and months, at school we have experienced loss, making all of us take pause and possibly take a step back, even a tumble down the chute. In my attempt to start a new venture, I have had to take a few downward tumbles also. I have to understand that everything is not going to go as planned, and even though I may take a couple steps forward, I also will experience taking several steps backwards. I have always thought that you need to take steps back….give yourself time to reflect and then move forward again. All with more knowledge and possibly a clearer vision for the near future. Just because it isn’t all rosy, you don’t need to give up. That is easy to say now, but when you are in the middle of the sliding down the chute, it doesn’t seem to be accepting. We need to be open to others ideas and suggestions, take pause in the moment to get a more concise plan of action and keep on truckin! That’s showing resilience for sure. Even in the midst of loss, failure, conflict and just crazy life, we can move forward even if it takes going back first to get there. I need to keep working on resilience as I continue to develop A Place 2B ME.